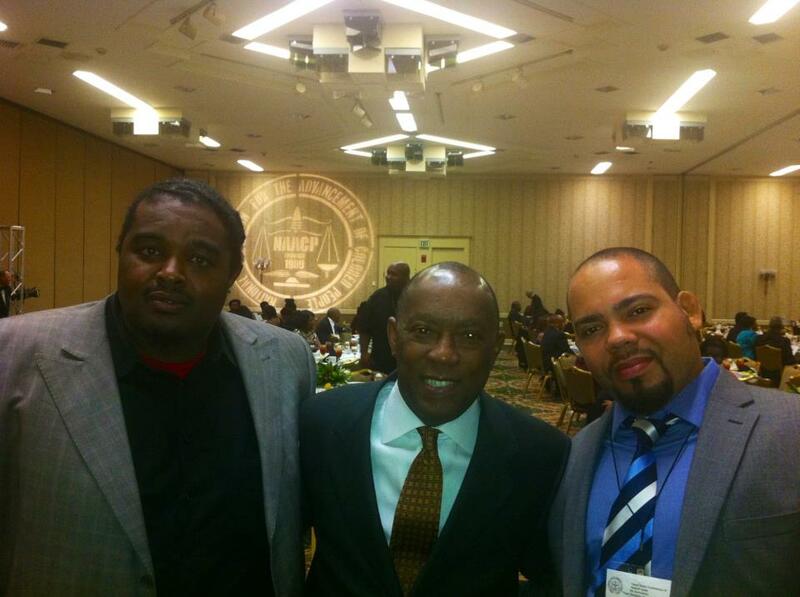 At the 2012 Texas Heroes NAACP Banquet — with Yannis Banks and State Rep. Sylvester Turner. Last week I conducted a quick analysis of Majority Latina/o High Schools in Texas to understand what high schools in the state had a majority (more than 50%) of their Latina/o students college-ready (defined as scoring a 2200 on both Math and Reading) according to high-stakes Texas Assessment of Knowledge and Skills (TAKS) exit testing. I concluded that only 8 of the 64 majority Latina/o high schools with 50% or more college-ready were charters. At the recent 2012 NAACP conference in Corpus Christi I was asked how the same analysis would look for African Americans. The first issue I ran into was that there are no high schools in the Lone Star State that are majority African American and have more than 50% college-ready— which in an of itself is a finding. So I lowered the bar on college-readiness from 50% to 30%. At that level, only 7 high schools in the state are majority African American with more than 30% being college ready on both Reading and Math. None of the 7 schools are charters. The logical question arises, what high schools in the state have 50% of African Americans tested college-ready? Are charters represented in this group? For this analysis I set the percentage of African Americans in the school at 12% or more based on the 2010 U.S. Census estimation of 11.8% African Americans in the state of Texas. Using the 12% population level, there are 30 high schools in the state of Texas where more than 50% of the African American students are college ready. Of those, only 1 of the high schools is a charter, KIPP Houston. For extensive discussion about KIPP Houston on this blog, go here. 19 EMPOWERMENT COLLEGE PREP H S HARRIS N 56 .